We provide consultancy services and surveillance targeted towards GDPR. 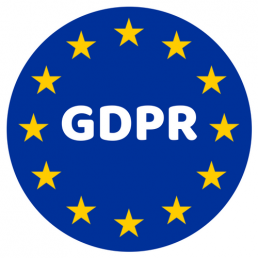 GDPR is the abbreviation from General Data Protection Regulation, which is the new EU GDPR directive. All data protection and privacy will be processed according to the new EU GDPR directive ”EU 2016/679”. It is valid from the 25th of May 2018. The GDPR purpose is to protect the citizens privacy, furthermore change the companies or organisations method to save and proces their personal data. We can help with consultancy service and surveillance targeted towards GDPR in your companies or organisations. How to put your procedures efficiently into a system. Which maintenance tool is required to save and use personal data. We solve small and major tasks within this area of expertise. Companies or organisations – if one of you and the citizen are both part of an International trade transaction, through processing a EU citizens personal data into your database. Citizen – citzens compliance to your companies or organisations, that you may use their personal data. Basically it means that the citizen has the right to see and to change their personal data. Example what a citizens personal data covers: Name, picture, mail-adresse, posters on SoMe and IP-adresses. The fine is 4 % of the International Annual Turnover or 20 million Euro, with the highest amount. This fine will apply if your companies or organisations do not follow the new directive. Working with one of our customer within the Faroese National Postal Service, Posta, we provide consultancy services in their GDPR.